Member feedback is important, and every organization should find innovative ways to obtain it. Start the process by clearly defining what you want to achieve and what you are trying to learn. If you cannot define the objective, your members will not understand its purpose. Be as specific as possible. If you are looking for feedback regarding a specific program, or product offering, do not ask questions that relate to anything else. Determine how this will affect your organization. Start at the end – when you have the results, what will this change within your organization? Consult the right people. 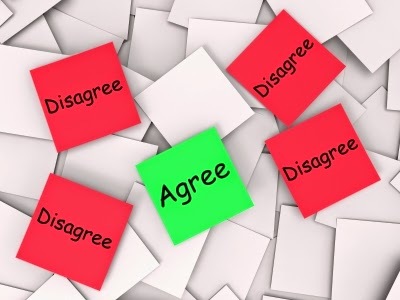 If you are in Marketing and Communications, and the results of the survey affects what your Conference Department is doing, ensure that they have a say in what questions should be asked. As much as possible, personalize your survey invitations. Marketing automation solutions allow you to customize a message, including the member’s name, company name, customized survey links, and any other information that you have on file. Include it; they will feel you are writing directly to them. Include the reason(s) why you are asking for participation. What will the responses change within your organization? What has made you feel that this survey is warranted? If you can, offer them an incentive to respond. Surveys deployed with an incentive tend to be more successful than others. It can be small, like sending a five dollar gift card for Starbucks to respondents, or offering a small discount on a product of interest to your industry, like benchmarking studies, whitepapers, etc. Never deploy a survey without testing.Send a test to yourself to ensure that it represents your organizations brand, from a visual and messaging standpoint. Also, take the survey yourself to ensure that any answers that are considered “required” are programmed as such. This will also allow you to determine that any skip logic programmed functions properly. Send a test to other staff members internally. They will likely find things overlooked, and you can tweak the questions and skip logic based on their feedback. It may also bring to light a question that needs to be added. Consider testing the survey with select members with whom you have a good rapport, such as volunteers on a Communications Committee. Members will usually look at things differently than staff. The more you test, the more likely you are to avoid mishaps. Need more tips? Click here to download the entire list!